HomeBuying Eyewear OnlineBuy Eyeglasses OnlineBuy Blue Light Blocking GlassesWhere to Buy Computer Glasses with Blue Light Protection – Do They Really Work? A recent study done by The University of Toledo showed that blue light could turn the retinal molecules in our eyes toxic. These vital molecules in your eye’s retina are turned into cell killers, according to the chemistry research done at the University of Toledo. That doesn’t necessarily mean you are going to go blind just because you are exposed to blue light. Do They Work? They Totally do! 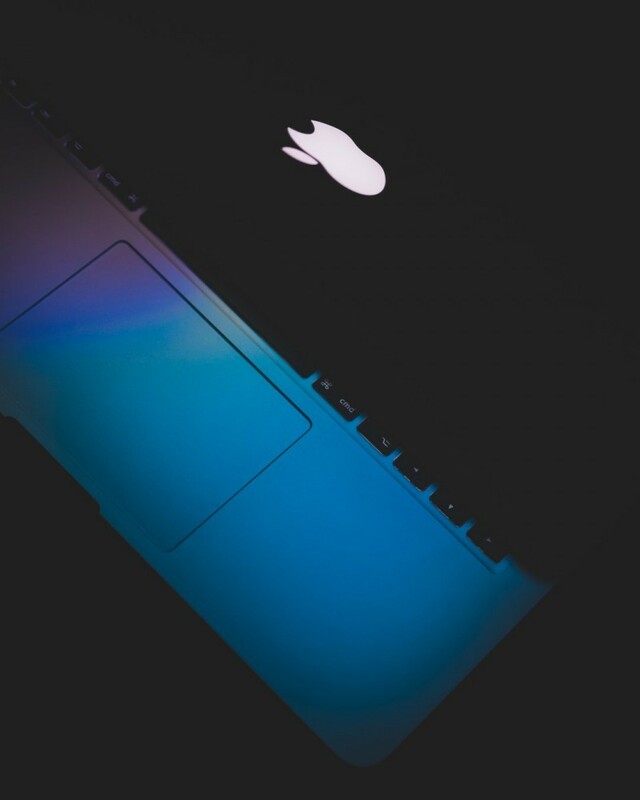 Digital devices such as smartphones, tablets, computers, and televisions emit this dangerous blue light, which could not only impact your eyes, but it could potentially affect your overall health. Technology is here to stay. There is almost no way to go throughout your day without encountering some sort of digital device, whether it is at work, at home, or even at restaurants. But just as it is important to wear sunglasses when you are outside, it is just as important to take protective measures for your eyes when you are using digital devices. Using prescription or non-prescription computer glasses with blue light protection is a good way to protect your eyes from the harmful blue light. Blue light is a part of what is known as the visible light spectrum. Sunlight is made up of violet, indigo, blue, green, yellow, orange, and red. Whenever all of these light colors are combined, it becomes the visible light that you see. Blue light is on the end of the spectrum where the light waves are shorter, but they pack more energy than the red on the opposite side of the spectrum. The sun is the single largest source of blue light, but the reason why digital devices are a concern is the length of time people spend on them, and the close proximity of the devices. While blue light is often associate with digital devices, fluorescent light, and LED light also emit blue light, according to the American Academy of Ophthalmology. Some individuals who work in front of a computer screen all day may feel like their eyes are itchy, dry and red after a long day. This is a symptom of digital eye strain from focusing on the computer screen for extended periods of time. This happens due to us naturally blinking less whenever we focus on anything. This could even happen from reading a book. The best way to relieve digital eye strain is to follow the 20-20-20 rule. In this rule, you look away from whatever you are focusing on every 20 minutes, for 20 seconds, 20 feet away. This helps gives your eyes a bit of a break and helps your eyes refocus, and would help with the symptoms of digital eye strain. As more and more information comes out about the potential hazards of blue light, blue light protecting glasses have gotten more popular. People looking to help reduce digital eye strain, and avoid disrupting your sleep/wake cycle. If you wear prescription glasses, many optical retailers offer a blue light protection coating that can be added to your lenses. If you do not wear prescription glasses you are still able to protect your eyes. There are many retailers that sell non-prescription glasses that come with blue light protection. You can even get magnified reading glasses with blue light protection as well. I have worn glasses for the better part of my life. I was blessed with eyes that have high astigmatism. Which makes me extremely sensitive to any kind of glare. I have worn glasses that have an anti-reflective coating for most of my life, and have since purchased glasses that have a blue light protection coating and it is totally worth it! Although there is no true research done on how effective blue light blocking glasses work against digital eye strain. I work on the computer for extended periods of time for 12-15 hours a day. Not only that, when I take a break from working on the computer I find myself staring at my smartphone. Wearing glasses with blue light protection helped my eyes feel more rested and relaxed at the end of my day. Also, since that recent study by The University of Toledo has shown what blue light could potentially do to the cells in your eyes, I think filtering out as much artificial blue light from artificial sources would be beneficial. The other option would be to avoid these sources, but we all know that we’re not giving up our smartphones. There are many online retailers that offer blue light blocking glasses, some retailers you are able to purchase with a prescription, and some only carry glasses that block blue light, but have no prescription. Here are a few good places to purchase blue light blocking glasses depending on your preferences and budget. 1. Readers.com – Readers.com offers a huge selection of computer glasses with blue light protection. You have the option between purchasing a multifocal, fully magnified, as well as unmagnified lenses. You are able to get these lenses with anti-reflective coating only or with blue light protection. 2. Walmart – Walmart.com carries a huge selection of blue light blocking glasses, ranging from just clip-on to a regular pair of blue light blocking glasses from Walmart themselves as well as a wide range of other retailers on Walmart’s network. You can find glasses with magnification, as well as glasses without magnification. They also have blue light blocking glasses for children. Walmart does also offer blue light protection prescription lenses as well. Cost varies for prescription lenses depending on the lens material. 3. Amazon – Like Walmart, Amazon.com offers a huge selection of blue light blocking glasses from many different sellers. You are able to find many different frame styles and lenses with magnification or without magnification. 4. Coastal – Coastal offers prescription lenses with a blue light protector coating starting at $45 for single vision lenses, and $115 for progressive bifocal lenses. There are also upgrade lenses options that cost a bit more. 5. Zenni – Zenni Optical offers very inexpensive prescription glasses with blue light protection. Single vision lenses with blue light protection start at $16.95. Getting a frame with blue light blocking lenses from Zenni with no prescription might be even more inexpensive than purchasing from other retailers. Keep in mind that the lenses are CR-39 Plastic. 6. FramesDirect.com – FramesDirect.com offers a prescription blue light protection lenses in single vision and progressive lenses for an additional $129. With the new study from the University of Toledo, it is important that you protect your eyes from blue light. This is even more important if you have problems putting your phone down, especially at night. Therefore, I definitely recommend giving blue light blocking glasses a shot. People that need a prescription can easily get blue light blocking prescription lenses, you can get a fairly inexpensive prescription pair from Zenni if you don’t mind the CR-39 Plastic lenses. If you want better lenses, Coastal offers a great price for polycarbonate lenses. If you don’t have a prescription and don’t want to spend all that extra money getting it from the online eyeglasses retailers then picking up a pair from Readers.com, Walmart, or Amazon is a fairly inexpensive trade for the protection you will get. Have you tried blue light blocking glasses? What are your thoughts on them? Let me know below! Thank you all for stopping by Eye Health Headquarters, if you have any questions or comments, don’t hesitate to leave them below and I will get back to you as soon as I can. I had no idea this was a problem. I am on the computer and/or phone all day long. I started noticing my eyes get blurry after a while. Do you know if this is the blue light or eye strain? Where can I get a pair? I clicked on Amazon and didn’t see them. I think after what you have said they will really work. Hi Laura, if you are looking at digital devices for extended periods of time it is more than likely digital eye strain. I do apologize I have fixed my link. Thanks for stopping by. I have never needed to wear glasses and have never had amy issues with my sight at all. However, in the last year or so I have been spending an increased amount of time on my laptop and phone as I started up my own website. I generally work for at least a couple of hours everyday on my laptop so a pair of blue light protection glasses could be very beneficial to me. I have often thought over the last few months that staring at a screen for a few hours a day isn’t going to do me any good in the long run and after reading your post I think I will invest in some of these glasses. wow this is great I had no idea i will surely be checking these out. I plan on doing a lot of work in front of a computer and I am quite happy with my 20-20 vision and have no intention of changing that!